If you've disappointed Rugga in some way you'll get into a battle. Not a difficult fight, really - you've fought guys like these before. Even poor Dagr doesn't put up much of a struggle above and beyond the nameless combatants. You can lose this battle if your main character (Rook or Alette) is defeated, in which case 24 Fighters, 131 Clansmen, and 15 Varl will take off alongside Rugga and Dagr. Don't pick up any extra people in Chapter Eight, when prompted. This happens shortly before the waterfall event. Move in to save Ettingbekr during Chapter Twelve, rather than ignoring the situation. Pleasing Rugga will earn you the Alliance of Convenience achievement. Kill Dagr. Fair enough. Gain 5 Renown. Let Hakon decide. He kills Dagr. Show Dagr mercy. You'll lose 40 Clansmen, 10 Fighters, and some Morale if you press the issue and keep him alive. Let the caravan drink. Morale improves. Try it yourself first. You gain 15 Renown and Morale improves. Fill a few barrels and boil it first. Nothing happens. Leave the water alone. Lose 51 Clansmen and 15 Fighters, and Morale declines. Tell them to leave the dredge alone. Gain 5 Supplies. Wonder if there are more dredge to kill nearby. If you go looking you'll find a small group of them, protecting supplies, and you can fight them, drive them off, or leave them alone. If you fight you'll wind up attacking a looooot of dredge, though they're fairly basic models, so it's a relatively easy fight. You'll gain 12 Supplies. Walk away. Gain 5 Supplies and Morale improves. Break out mead and celebrate. Morale improves, but lose a day. Raise a toast. Gain 10 Renown, and Morale improves. Congratulate him, but insist the caravan keep moving. Morale declines. 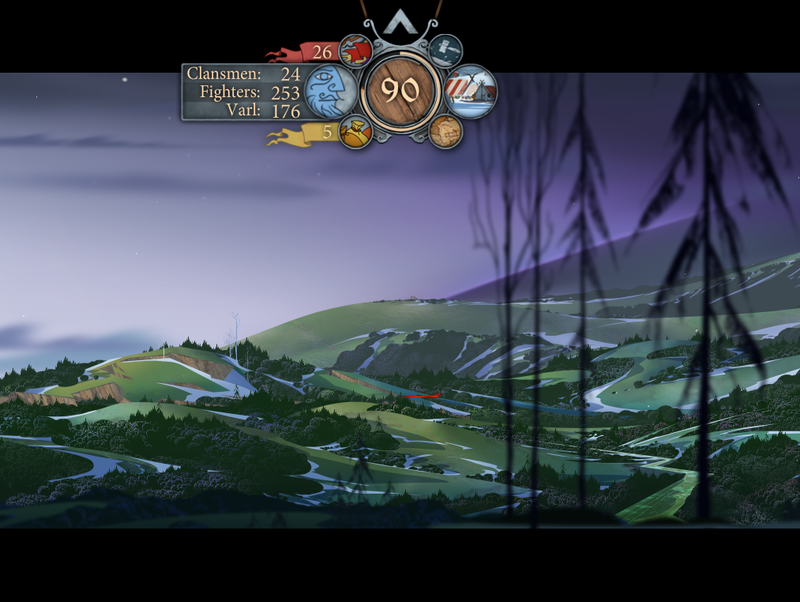 - Not long after the celebration you'll run into a battle with some horseborn. This battle can be a bit of a pain because a number of the horseborn will likely be ranged fighters, and there's enough melee combatants that you're going to get pegged from behind enemy lines for a while. Hold back, wait for a few horseborn to come forward and get slaughtered, then begin moving up the bridge and killing as you go. To end the battle you need to take out their leader, Canary. They'll join your ranks after the battle. - There's a godstone ahead. If you're playing as Rook, he has the chance to finally cement things with Oddleif. Took long enough. Nothing seems to happen whether you take her up on the offer or not, though. If you're playing as Alette and Egil is in your party you'll get a similar scene. Try to keep everyone together until they're in Arberrang. Gain 20 Renown. Ask them to bring everyone they're looking for to the caravan. You gain plenty more people, along with 10 Renown. Let them choose for themselves. Tell everyone that they're banished if they leave. Lose 63 Clansmen and 22 Fighters. If you spared Dagr he'll also kill some of your Fighters at this point and flee. Great. 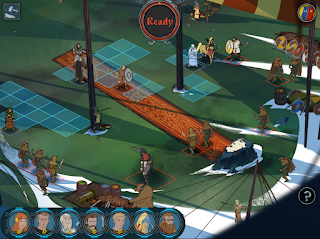 Join Hakon in setting up defences. Lose 18 Fighters and 2 Varl. 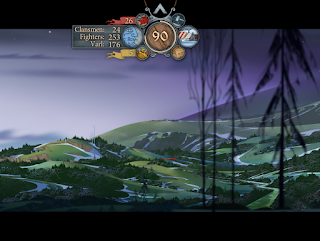 Investigate the trouble between the kingdom and the clans outside Arberrang. Lose 18 Clansmen and 2 Fighters. Help Oddleif / Yrsa stop some troublemakers, who have taken ill to the horseborn and varl in your company. If you threaten them they'll run off, earning you 5 Renown. Ask what's wrong and you'll get into a battle instead. After you're done looking around Rugga will show up, and you'll have a conversation about the sordid state of affairs. After it's done you can look around the outskirts of Arberrang, head to the Market, and speak to Tryggvi and Scathach (and, if you're Alette, Aleo). Load up your heroes with Promotions and buy any last-minute items, then head to the Meeting Tent. The meeting doesn't go well, though you get a better reception if Ludin survived the trip here. It ultimately amounts to one decision: try to get into Arberrang, or side with Rugga. 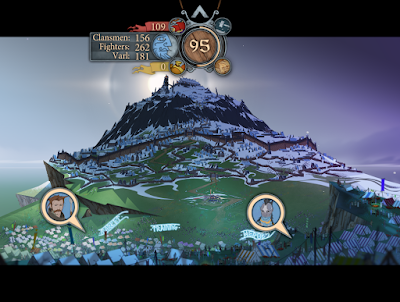 Siding with the king's forces will strip your side of many Clansmen, and you'll go to battle against Rugga's forces. You'll lose 27 Clansmen and 21 Fighters. Siding with Rugga results in a battle against the king. In addition to choosing the battle lines, whether or not Ludin made it here will affect the fate of the varl on your side. 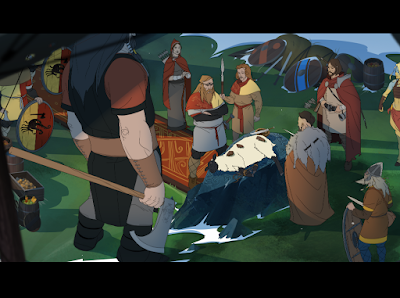 If Ludin survived the trip, Hakon and his men will all wind up on King Meinolf's side, and you'll have to fight them if you join Rugga. If Ludin did not survive the trip the varl will wind up with Rugga, and you'll fight them if you take on King Meinolf. The first battle is nothing special unless you wind up facing the varl in combat. There are a bunch of ordinary units, and you need to take them down. You're in something of a disadvantageous spot at first, since you're surrounded on all sides, so pull together on one side, take out the nearest enemies, and establish a perimeter against the rest as they move in. 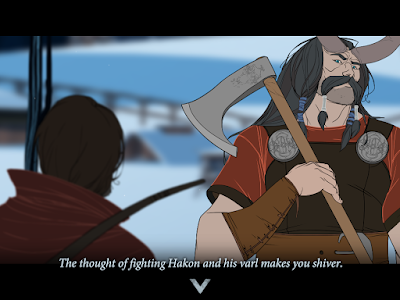 Be careful of Hakon in this fight, if he winds up against you. 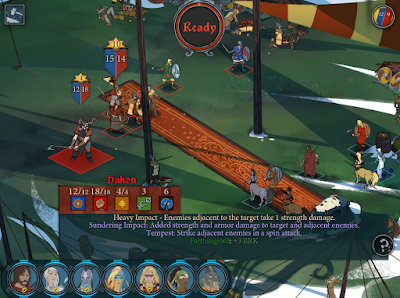 Whether you've been levelling him or not - which you probably have - he's a powerful opponent, and may be able to take out your units in a single hit, since you don't have any varl to form a wall in front of your lines. Charge the enemy lines. No aid. Put archers on support duty. You'll have a few Archers helping you. Order the horseborn to take on a bear master who's sending War Bears at you. Scathach is a mandatory member of your party for the next battle, and he'll get a free hit. The next battle puts you behind a barricading heap of detritus, and your task is to protect King Meinolf from harm. You have the help of a single Elite Guard, and you'll be facing off against more Kragsmen, a few War Bears, and, potentially, Griss. Have ranged characters fight from behind cover to keep your foes at bay. You can use Meinolf and his Guard, but Meinolf spends the battle poisoned, and you don't really need their help anyway. Better to keep at least the king away from harm. This can wind up as a brutal battle. Not only have you lost a bunch of party members you may or may not have relied on, but several of them - Hakon, Ludin, and Yrsa, potentially - are arrayed against you. They still have their former levels and items, as well, so if you levelled them you're in for a rough show. As above, watch out for Hakon, as he can wreak bloody havoc on his foes. Your primary target here is King Meinolf, and since his life is linked to his guards he won't start taking damage until they die. Target his Elite Guards - presumably there are more if fewer of your units defected - then go after the king himself. Defeating Meinolf will end the fight. Charge the gates. No aid. Order Oddleif to take out the archers. Oddleif will not be available in the next fight, though she'll provide cover from the sides. Order Canary to separate the king from his guards. Canary will be a forced part of the next battle, and gets an extra turn right at the beginning. 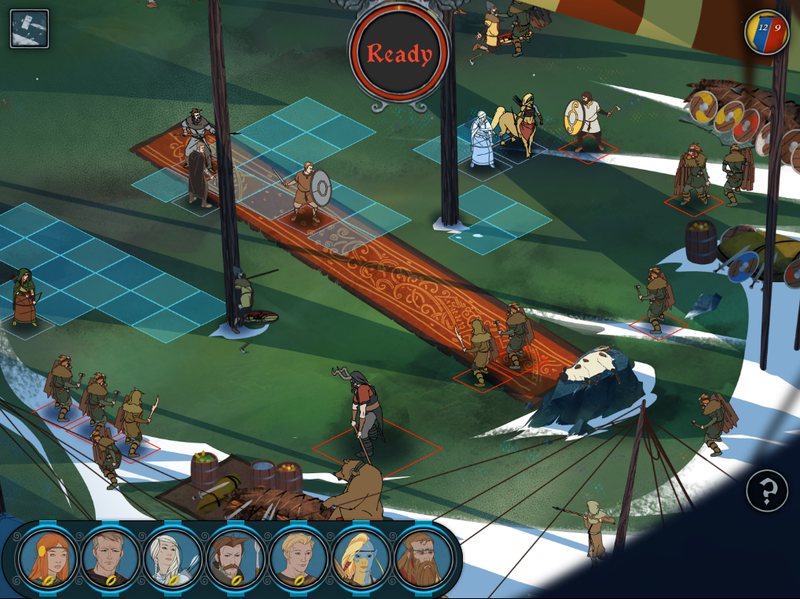 Order Hakon (if he's in your party) to smash down a barrier between you and the king's forces. There will be no obstruction in the middle of the field in the next battle. Another fight waits. Here, if he's alive, you'll fight Griss, as well as the king and more of his entourage. The fight isn't significantly different from the last, though if Griss is around he provides a hefty meat shield. The king seems much more eager to rush your lines than his guards, and if you surround him and batter him with attacks you can kill the guards without having to touch them. 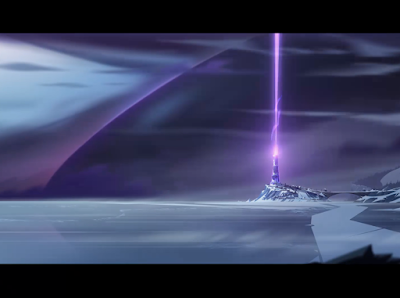 Major spoiler territory, so I won't talk much about this. The essence of the battle that follows is that, as Iver, you need to try and direct your opponent into one of the bolts of lightning marked out on the map. Lead him around - minding that you can get cornered, be careful of that - and go for a bolt that has just appeared, as they seem to take two turns to descend. Iver's Battering Ram move is also useful for knocking Bolverk into lightning strikes. Zapping him and sapping his health, beating him up the old fashioned way, or getting knocked out will end the fight. Tried both alternatives, siding with king or Rugga/clans. I reached Arberrang (including bring the other clansmen to my banner) with 808 clansmen, 533 fighters and 335 varl. When you side with the king, Rugga let your camp set on fire and with that I lost in my playhrough 108 clancsmen, 74 fighters and 24 varl. All surviving members stayed loyal(except Rugga and Dagr, of course, but they were no fighting charakters anyway), even so the horsmen and varl. In the upcoming fights you only have to face nameless NPCs, no heroes. When you side with Rugga, you lose all Varl (335 in my game) and 9 Clansmen. Your Varl heroes (Hakon at first), Ludin and Yrsa leave you and you have to fight them - tough thing when they are Level 10 as in my game. All in all, I´d say siding with the king and fighting Rugga is what you could name the "better ending". Are the losses any different if you help Hakon built up defenses when you first get to Arberrang? I chose to help the horseborn and got the same 108, 74, 24, losses as you when I chose the king and Rugga burned my tents. But it mentions that they had no defenses when this happens, so could the losses be smaller? Yea. I set up the defenses with Hakon and sided with the king. I lost 12 Clansmen, 4 fighters, and 2 varls. Something like that but setting up defenses causes Rugga's ambush to fail and u dont lose all the clansmen. Is one lightning bolt supposed to be enough? I've shoved my opponent into several of them to essentially no effect. They are either resisted or do 1 measly strength damage. Oh I figured it out. The lightning bolt removes a buff making the enemy easier to beat. You can avoid the fight with Rugga. 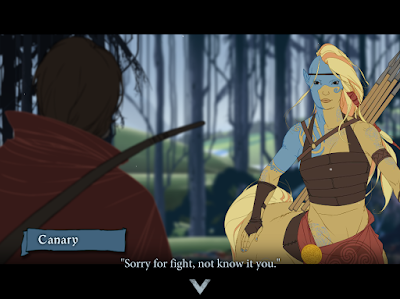 In my playthrough, he came out of the Old Woods with some clansmen, we talked a bit and he said that although he didn't agree with all my decisions, I did a fine job leading those people and he said he would stay out of my way until the capital. That is as rook. I think that if you do enough things that he agrees with through the journey, you avoid the fight. Agreed, that happend to me too. I was able to avoid the fight with Rugga as Alette. He specifically mentioned the waterfalls, something, and the old wood. I think not taking more people on most of the time, and saving the town in the Old Wood are conditions for this alliance. Wonder how much will be different depending on the final fight, you can lost the fight and the game still ends. It has mostly the same cut scene, but Bolverk pulls the arrow out of Bellower and wakes up. As opposed to defeating Bolverk and you keep Bellower's body with Iver and Juno. I am confused. I sided Rugga and kept the varl and horsemen. It was way better than siding the king, where I lost everybody. Perhaps that was because Luding was lost in the first game. You are correct, if Ludin dies the King blames the Varl and refuses to let them inside, so they join Rugga, if Ludin lives then the King will allow the Varl inside, so they join the King. "Rugs blows three quick bursts into a war horn. You look back and see a fight breaking out along the defenses you built- humans and varl defending your camp. You hear Rugga swearing at his failed ambush" - Text for when you've set defenses. I fought Rugga and put archers on support duty - this did place Nid and Oddleif, as well as Alette, who was in my active party, behind defenses. What does "Hakon, can you stop them at gate?" do when we side with the king an Ludin is alive? Hakon is happy to fight, he's in your team and I think there are less enemies to fight. Not sure though. I helped Oddleif investigate the trouble in camp, and tried to scare off the trouble-makers. Got a fight instead of 5 renown. Choose the third option (shout for both to lower their weapons) to improve morale and respect from Scathach, but no renown. You can actually lose the last fight with Iver and Bolverk and it shows a different ending. I just lost that fight... And the ending is pretty dark. I think it's worth noting that if you lose the fight against Bolverk, there's a really dire consequence that'll come up in the next game for sure. egad I hope not... I made her into an absolutely brutal killing machine. Nope. Canary is just happy and prepared for the coming battle inside the walls, because she knew this would happen. She is still on your side. As for losing as Iver in the final battle, well... I wouldn't call the result bad. It might actually be the better result, depends on how the story goes in Banner Saga 3. 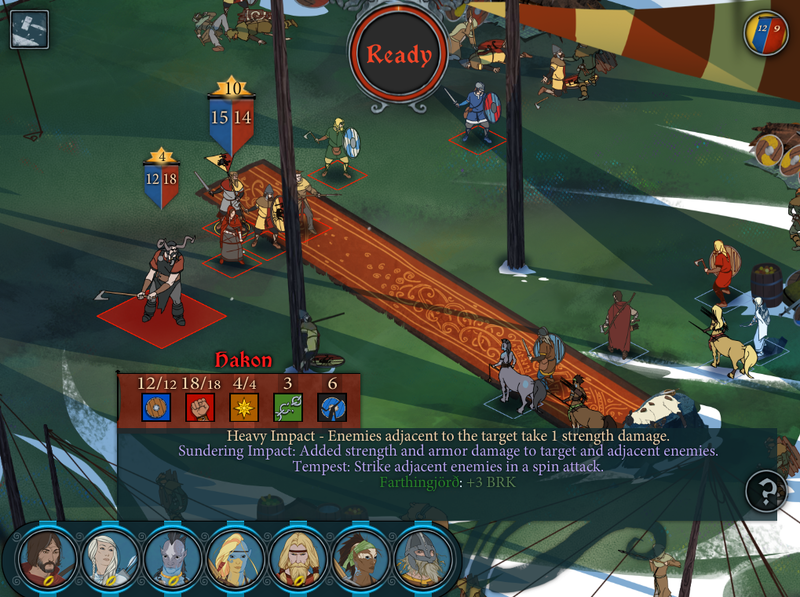 If you pick Hakon should deal with Dagr then your caravan loses morale due to not acting as a leader and taking his life yourself. There must be some variant here. I threatened as suggested here but that led to battle as well. Perhaps because the leader was Aletta not Rook? The fight with Rugga at the beginning of the chapter is a lot harder than this quide leads you to believe if you do not have characters leveled from a previous save or if you have not leveled Oddleif as you are forced to use her. Focusing your archers on the top archer and your tanks on the rest worked for me.